How long will my teeth last? There's no truth in the rumour that tooth loss is an inevitable part of aging. Today, treatment concentrates on prevention of dental disease. This means you can keep your teeth for life. Some medications which are designed to "thin" the blood (such as heart medications) will effect dental treatment such as teeth cleaning and extraction's. Tell your dentist which medications you're taking so they can discuss with your doctor the best treatment for you. Diabetes is very common. Just as it's important for diabetics to look after their overall health, it's very important for diabetics to look after their oral health. Some studies have shown an increase in gum disease in diabetics. If you eat at odd times it can be bad for your teeth. For example, during the night everyone has a decrease in the quantity of saliva within their mouth. This means that the amount of decay caused by night time sugar intake is likely to be far higher than at 5.00 pm when you have the most saliva in your mouth. Please discuss this with your dentist. "Not necessarily the recession Australia had to have!" Often as you get older your gums recede making your teeth appear longer. "Getting long in the tooth". Gum recession means that the roots of your teeth start showing in your mouth. This root surface may often be more sensitive to cold, brushing and sometimes hot substances. It's also a darker colour than the top or crown of the tooth and it decays more readily. The causes of gum recession aren't fully understood but include genetics factors, poor teeth cleaning (both insufficient and too aggressive cleaning) and trauma. If you have full dentures, clean your mouth and dentures after meals every day. Use a toothbrush or denture brush and clean all surfaces. Use a toothbrush to clean the roof of your mouth. This helps remove "dead skin" and helps avoid thrush -a fungal overgrowth under your denture. As you grow older your mouth changes shape. This may cause loose or ill-fitting dentures. Ask your dentist for help to eliminate denture sore spots. Ask your dentist to recommend and show you how to use an electric toothbrush. Why should your grandchildren have all the fun! If you notice any bumps, lumps or changes in your mouth or if you have persistent ulcers see your dentist. Dentists are trained to look for early signs of mouth cancer. Have your mouth and dentures checked by your dentist every few years. Old age no longer means no natural teeth. 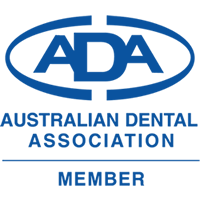 A recent data watch survey in the Australian Dental Journal reported that the percentages of people who have no natural teeth (edentulsim) had declined in Australia in the years between 1979 and 2002. The 15 to 34 year age group virtually all had some natural teeth but about 36% of over 75 year olds are edentulist. The authors said the number of older people who are without natural teeth has less to do with health or diet but with a historical health perception. In the first half of last century, particularly between the 1920’s and the late 1940’s it was commonplace to extract all teeth. This occurred as a direct response to a theory called focal infection. It was postulated that dental decay and other oral diseases created a reservoir of bacteria that could spread through the body, causing a wide range of systemic disease. We have changed our thinking somewhat! It is postulated that as this generation die out we will have a situation where only 1% of Australians will have no natural teeth. Read more in the Australian Dental Journal Vol 52, Number 2 June 2007.